renzo piano is an italian architect and engineer who currently leads renzo piano building workshop, an international practice with offices in paris, genoa, and new york. the studio is led by 11 partners, including its founder who won the pritzker prize in 1998. since its creation in 1981, RPBW has completed over 120 projects across europe, north america, australia and east asia.RPBW buildings include the london bridge tower (the shard), the stavros niarchos cultural center in athens, the new campus for columbia university in new york, the palais de justice in paris, and the whitney museum of american art. 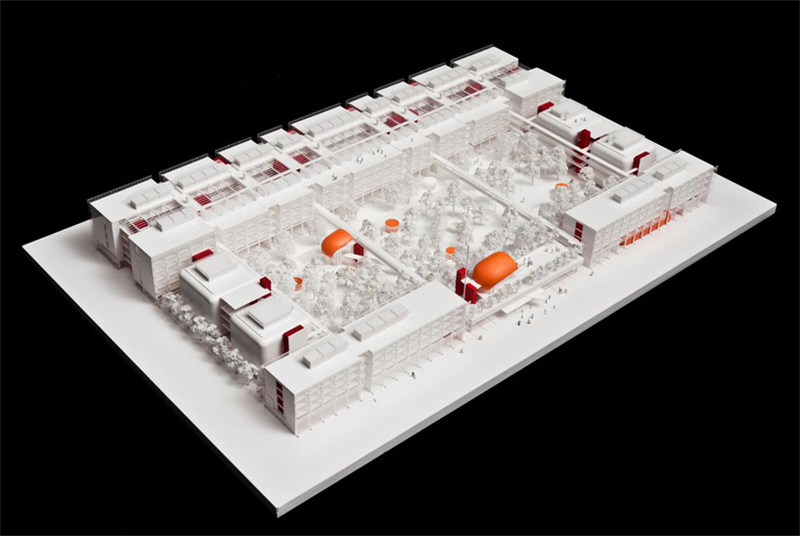 in 2017, the pompidou center in paris, designed by renzo piano and richard rogers, celebrated its 40th anniversary. 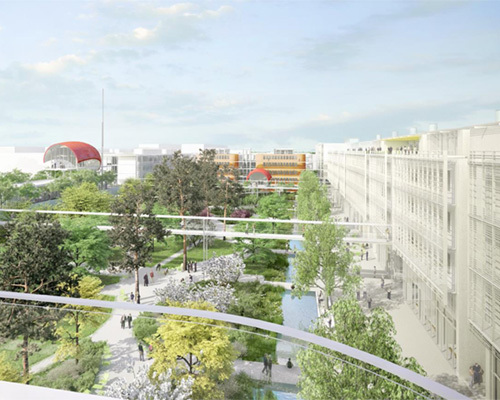 the ENS cachan paris-saclay in france has selected renzo piano building workshop — from five other shortlisted firms (JLCG arquitectos / GM – guervilly maffret; lacaton and vassal / druot architecture; atelier lion / marc mimram / ignacio prego/; and michel rémon group / jacques ripault) — to develop a 64,000 square meter building as part of its campus project. 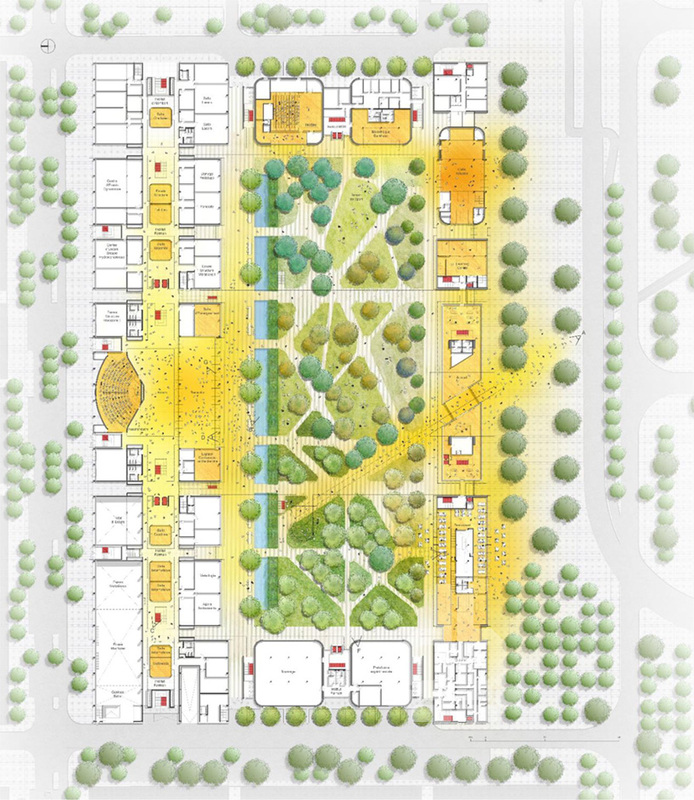 the volumes are positioned along the perimeter of the premises, arranged vis-à-vis, forming a rectangular organization which features a garden at its heart; in which more than one hectare of surrounding green space defines the readability of the structures. 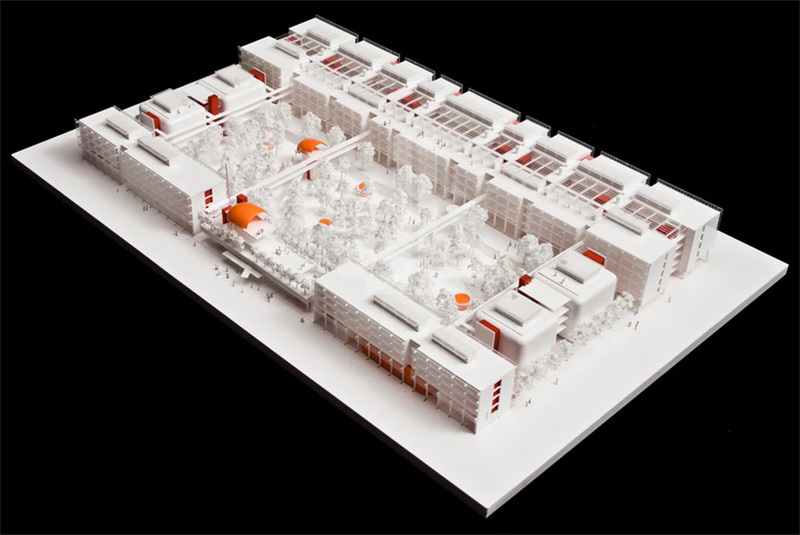 the plan revolves around several architectural focal points which speak of the school’s focus on science, technology and humanities — a pluralist design approach that accommodates the varying needs of the educational facility, as well as reflecting the diverse research and knowledge accumulated within the confines of its walls. 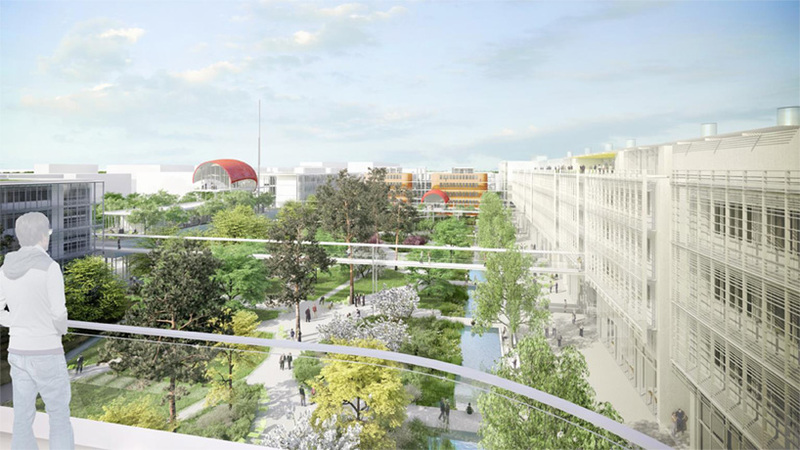 these include a completely transparent south facing façade that allows passersby to look in and view the various on-goings and programs within: a cafeteria, public restaurant, conference, media and learning center; and rounded volumes housing the departments of science, engineering, humanities and social sciences positioned on opposite ends of the site that connect and balance out the strict linear quality of the buildings that run along the length of the property. 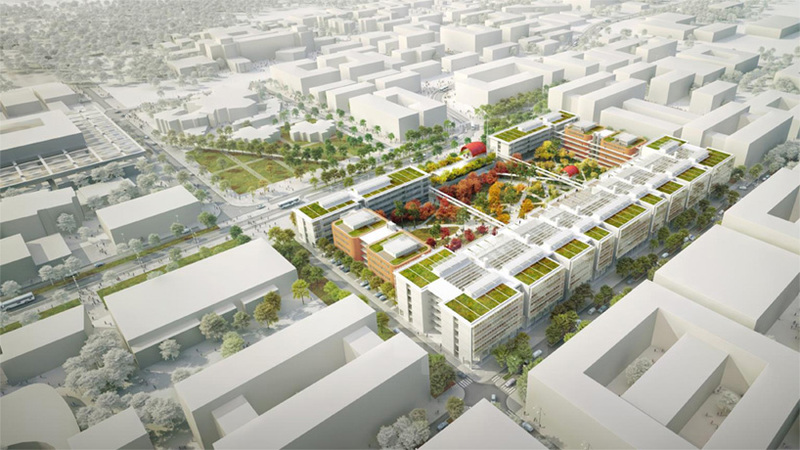 in developing the concept, piano focused on realizing a campus which emphasizes structural performance and functionality. this is evidenced in the aforementioned vis-à-vis which offers a convenient network of pathways that make it easy to navigate between the associated structures. 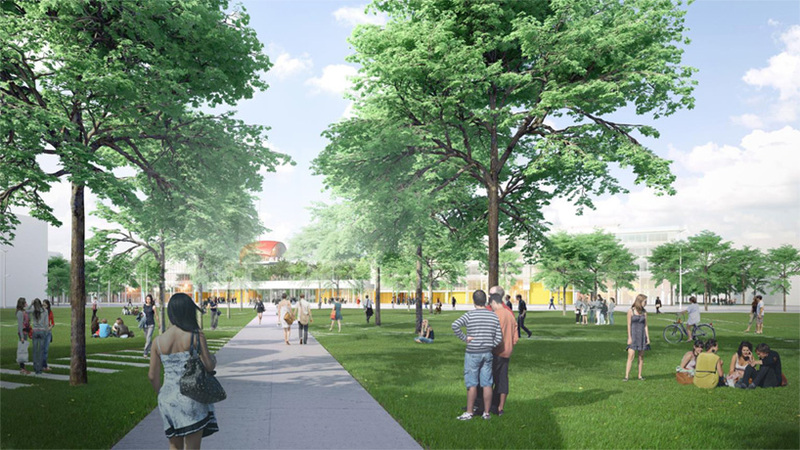 the façade construction is primarily made of large ‘gates’ which allow for a flexible and semi-transparent configuration of classrooms, offices and laboratories. 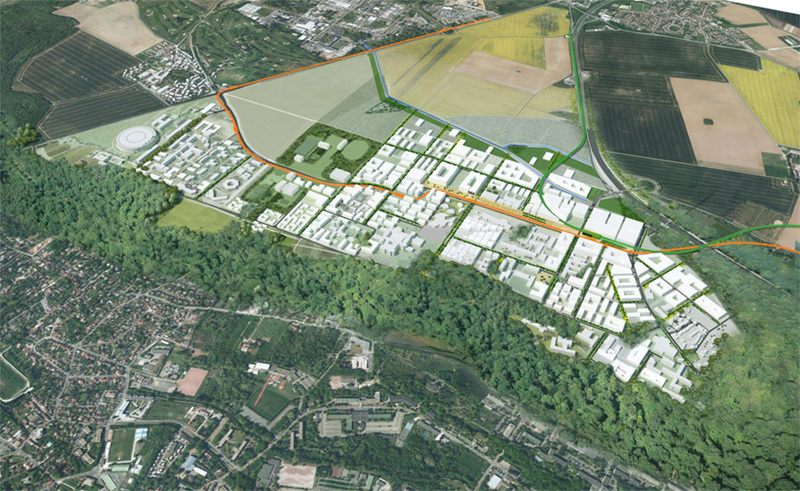 in addition, piano’s ENS cachan paris-saclay campus also functions as a dynamic ecosystem reducing its resource requirements. 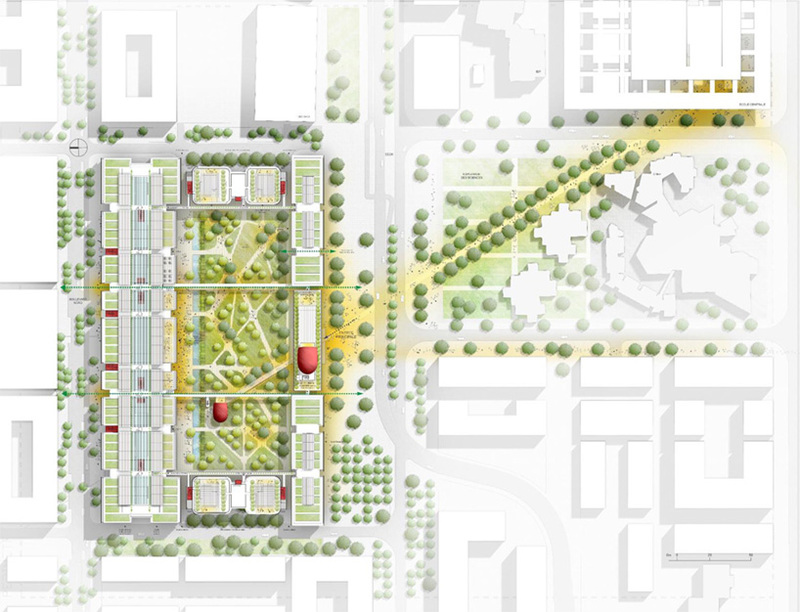 this is achieved through a compact establishment whose openness and transparency allows for solar gain for naturally heating the interior, green roofs and balconies, the utilization of a passive cooling system, recovery and storm water management, alongside the bio climatic garden. 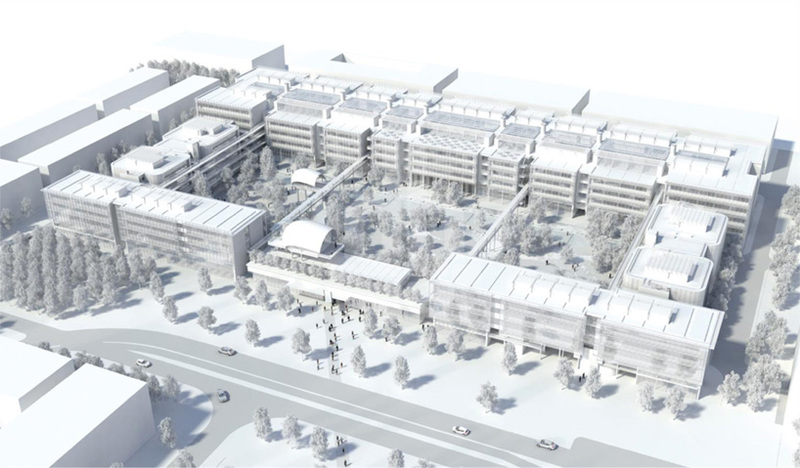 the new ENS cachan paris-saclay campus is set for completion in 2018.